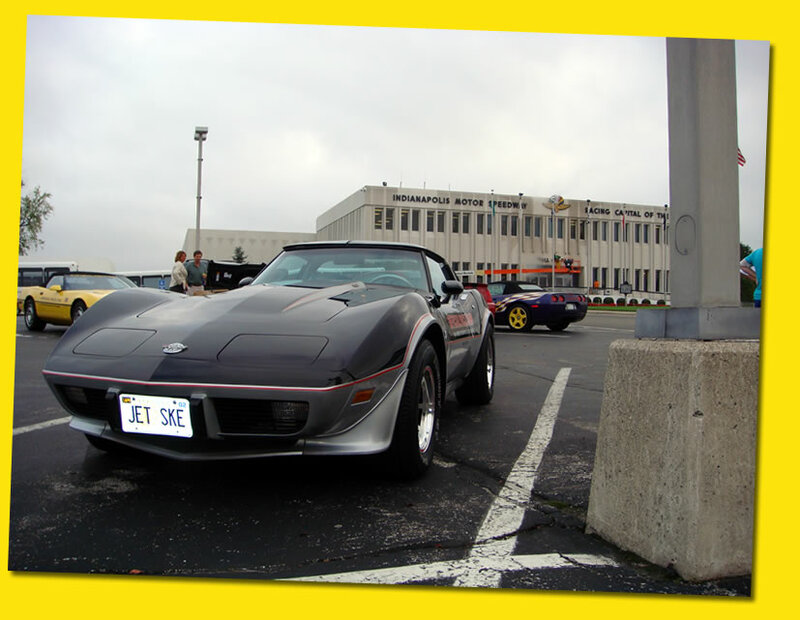 We belong to the Corvette Pace Car Registry, and this year we decided to participate in the bi-annual reunion. 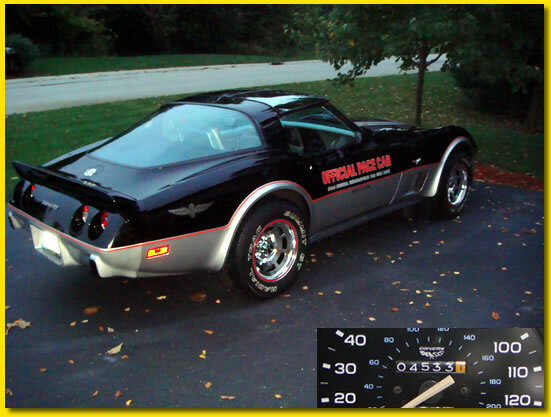 This trip started in Indy at the 500 track, and ended with a full day at the Corvette Museum in Bowling Green, KY.
Before we knew about this trip, Nancy and I had another trip planned. 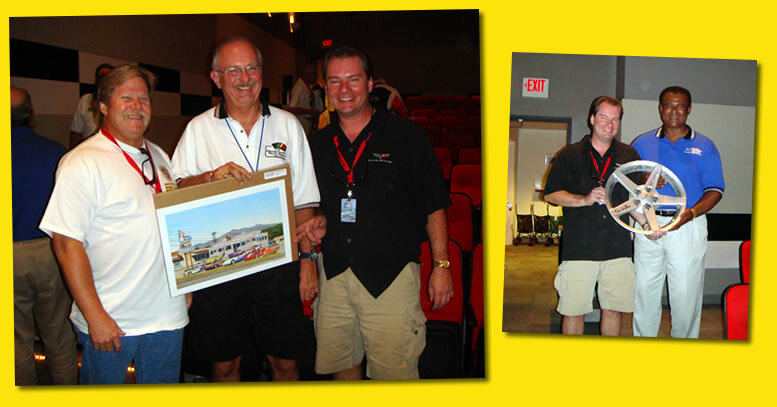 September 27, 2007 was our 10th anniversary! So we had a special trip planned to Los Angeles and Santa Barbara, CA for a long weekend alone together. 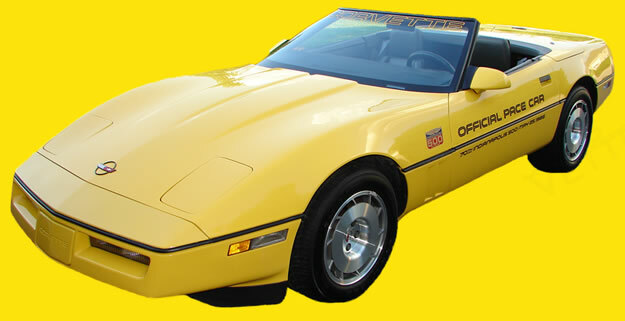 We had a Corvette C6 rented and were going to spend some time driving up the Pacific Coast Highway. But when this trip was announced, it was a no-brainer. In Indy? Pace Cars? Let's do both! Which car do we take? I wanted reliability, minimal risk, yet to pick something that "not everyone" will drive. Our 1986 is a candidate for Bloomington Gold, so I did not want to risk it. I picked the 1978, hoping that not many people would take theirs on the caravan. But I had some work to do! The original Good Year tires and original wheels had to go. No way was I going to risk a blow out of the original tires. So I bought a set of aftermarket matching pace car wheels from Mid America, and selected no-name tires that had RWO and contained "GT" and "RADIAL". Close enough! The Big Day...Here We Go! We live in Indy, and this was the first time our '78 has ever been at the track until now! We had a great day at the track. VIP tour of the track, pagoda, and control room was the highlight. 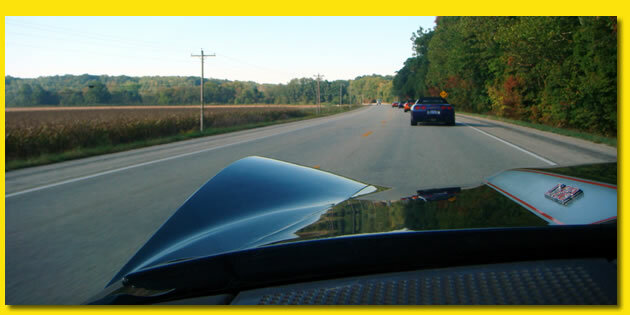 The tour continued on to "Griot's Garage", followed by a caravan to the Holiday Inn Express in Greencastle, IN. Dinner at Walden's with a great IMS associate speaker rounded out the day and the night. Not so many pictures, but it was a great day. And we met some new friends! Lined up and ready to depart Greencastle Friday morning. Nice assortment of Pacers! "Hey y'all, check out all them little coars with all that wratin' on the doars?" 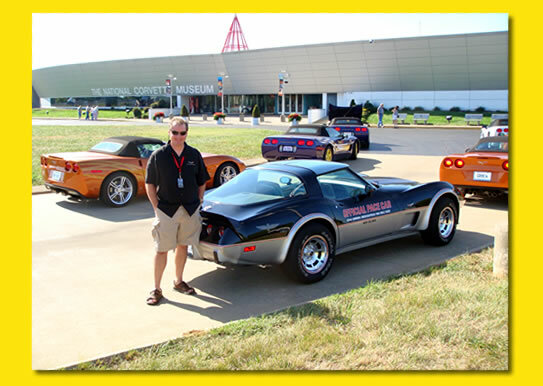 We had a full day of car displays, seminars, and a lot of great Corvette shopping and camaraderie! 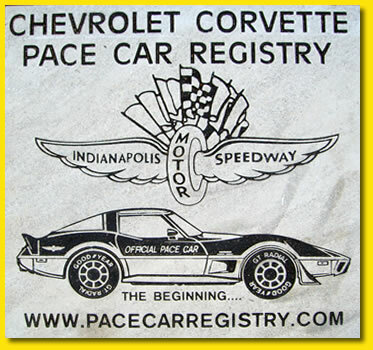 At the end of the day the Pace Car Registry unveiled our new brick. Nice Job Guys! Congrats Jim E and Noel! 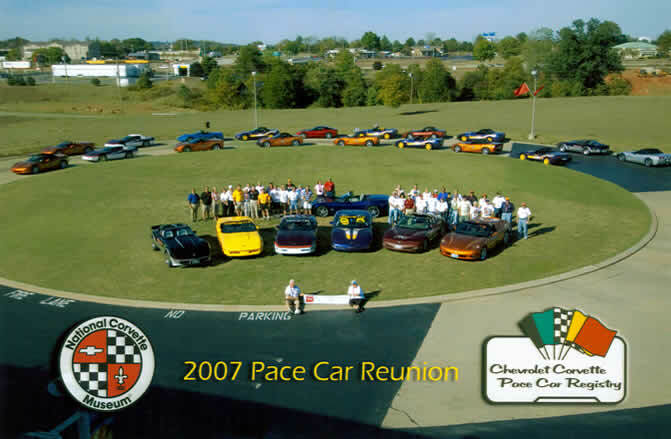 I have to say...I was really hoping my '78 would get into the commemorative picture for this Pace Car Reunion. I "paid my dues" by actually driving my car to the event. It was the only '78 that made the trip (and nobody teased me...at all..about my car being the slowest in the caravan...thanks guys?) 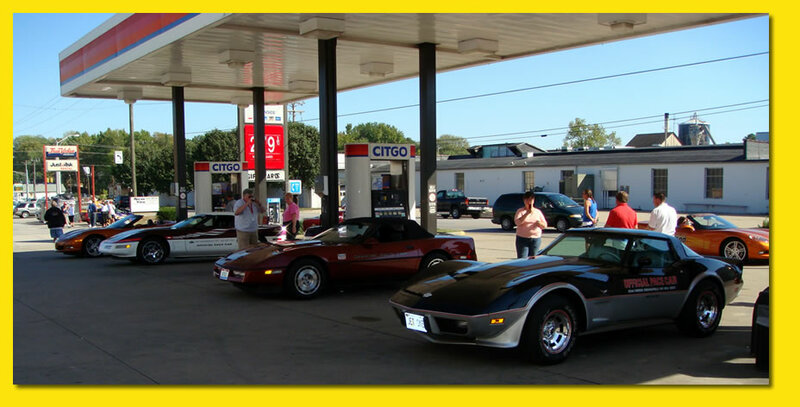 We all lined up one-of-each Corvette Pace cars for the big picture before going to dinner. I was proud to have my car in the group for the main picture. The whole field of cars. Me and Nancy (L). Thanks for taking the pic Dan! After the photo shoot and the museum closed, we had a cocktail hour and dinner in the atrium of the Corvette Museum. Recognize any of these guys? Maybe that's Roc? 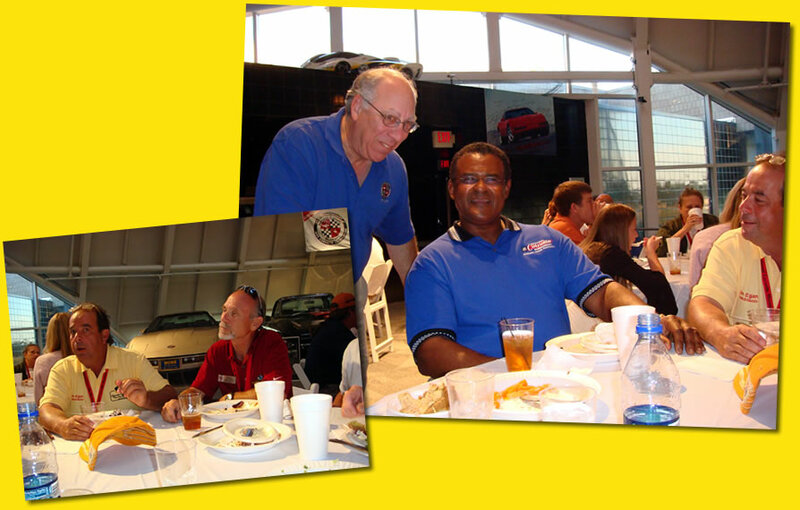 Maybe that's Wil Cooksey, the General Manager of the Corvette Assembly Plant? Maybe that's my new buddy Dan? Or my buddy David B is in there somewhere? 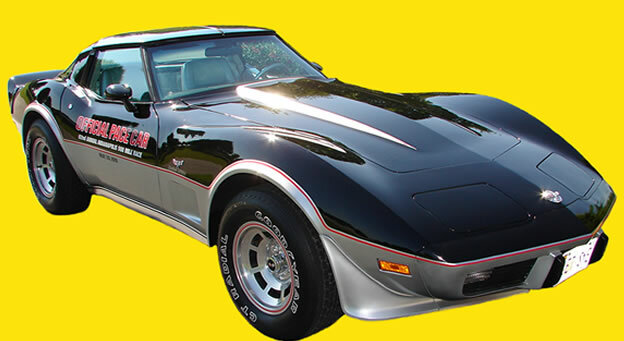 Or what about my new Vette-Collecting-hero...Jim E? Maybe all these guys were at my table? Maybe the Salmon was awesome? Yep...it was! This is my new wheel! 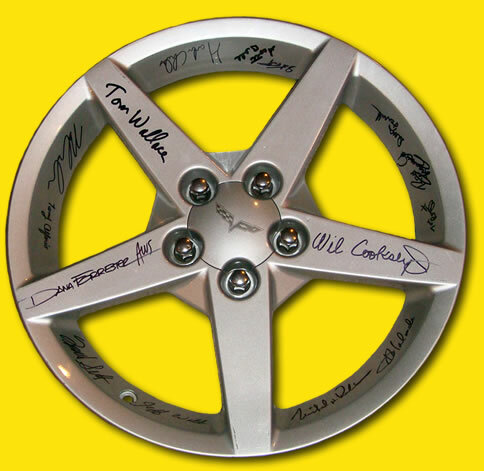 It's a C6 "defective" wheel signed by many VIP's at Chevrolet and the Corvette Assembly plant. Including Tom Wallace and Wil Cooksey (pic below). I even got Dana Forrester's signature later...hmmm? Yes! my buddy David B, Dana Forrester, and Bruce (left pic). 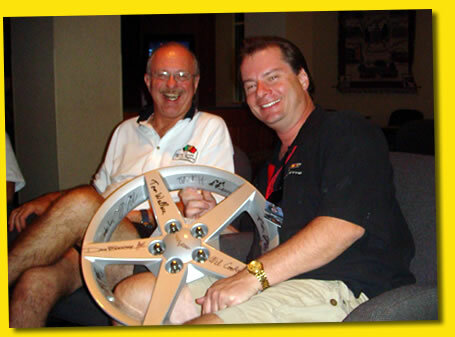 Will Cooksey and Bruce (right pic). What a great night! At the end of the auction and night...I had a chance to see the coolest boots on the planet. Compliments of Noel "el Presidente". David B, Dana, Janet, Dan, David...everyone obliged! HOME from the big event. 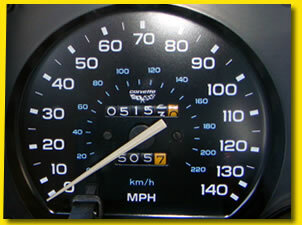 5153 - 4533 = 620 total miles. Well Worth It and we will do it again! 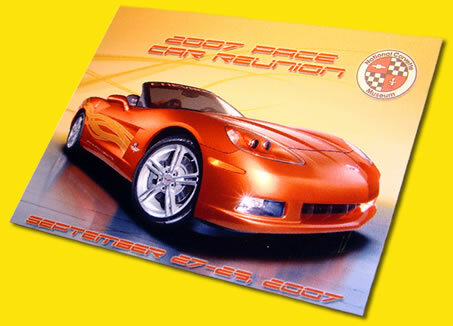 Return to jetsvettes, Corvette Collectibles and Corvette collection.